Our vision is that of an organization recognized by the health and social services network and by the community it serves for its values and its commitment to patients and their families. As a center of expertise, we want to exert a significant influence on the development and organization of palliative care services at the regional and provincial levels. We want to have a reputation for continuous innovation and to increase our leadership in palliative care training. 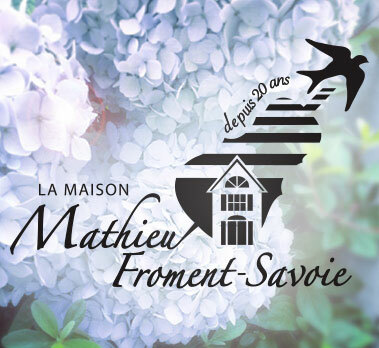 La maison Mathieu-Froment-Savoie, an essential partner in the health and social services network, is recognized by the community as a vital link of palliative care in the Outaouais. It welcomes and accompanies, free of charge, people in need of end-of-life care and their families, to enable them to live as peacefully as possible those last moments with respect, dignity and compassion. Its team of professionals and volunteers, deeply committed to people at the end of life, is dedicated to providing quality care. At the core of its commitment to provide the best palliative care services to people in need of end-of-life care, La maison Mathieu-Froment-Savoie’s team favors the well-being of the patients and their next of kin who are crossing this important life stage by easing the pain with respect, dignity and compassion. While young people of his age were having fun with the Nintendo or playing hockey on the street, Mathieu Froment-Savoie, at 12 years, was fighting against an enemy: cancer. In remission during the summer of 1990, he camped in front of his computer to – end alone – write a beautiful book on his struggle for life. Mathieu Froment-Savoie dedicated his autobiography to his father, his mother, his younger sister, all his relatives and friends, and all those who are fighting against a serious illness and those who support them in this struggle. It appeared on February 22, 1991, after Mathieu lost his fight against this “dirty disease” as he called it. When he was released, Mathieu was already in palliative care and died on April 3, 1991 at the age of 13. Ms. Suzanne Fitzback worked as Executive Director from 1993-2006 and 2007-2016. About 250 patients receive care at La Mathieu-Froment-Savoie on a demand of about 700 per year. The average length of stay is 15-20 days.